Graphic design is just one of those things I don't do well. I can mix up a mad Photoshop with somebody else's assets, but creating something visual from scratch, eh, I'm a lightweight. Yeah, I wanted those. Or something like those. 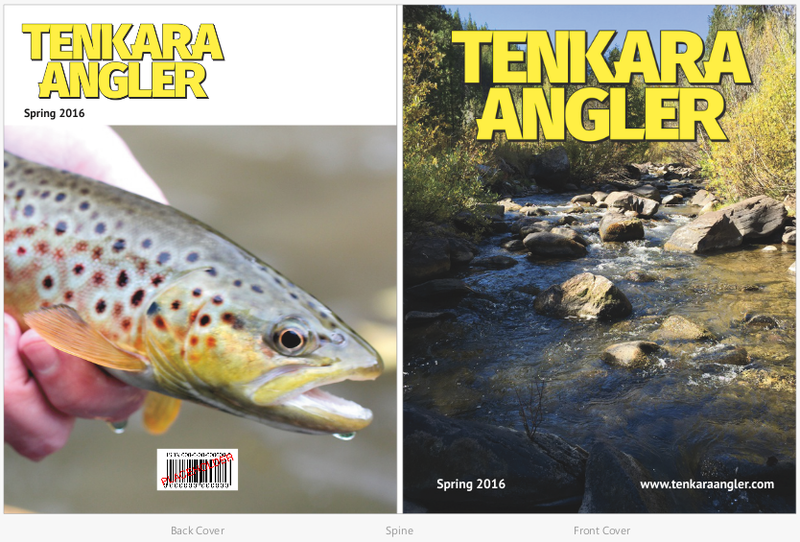 I reached out to the artist, Nick Cobler about the redesign project, just to gauge his interest....only to learn he's from Pennsylvania and has been known to pick up a tenkara rod from time to time. Boom, game over! From there, the process was pretty straightforward. I called him, describing what I was looking for...as in my opinion, too much of the image of tenkara has for better or worse been portrayed as an extreme. Either very Far Eastern (naturally), or American hipster (unfortunately). I wanted something different, something that would maintain a somewhat minimalistic feel, but be strong and bold at the same time. We're not all frail, sissy boys waving fairy wands at four-inch fish, you know? ...which will visualize itself like this...and I couldn't be happier! In the next issue of Tenkara Angler magazine, I'll spotlight Nick and his work through an interview I think you'll all enjoy. Sure, interviews with "Tenkara Masters" are plenty insightful, but as far as I'm concerned, it's more fun to talk to your peers, who like you are still finding their way with the long rod, about why they fish tenkara. 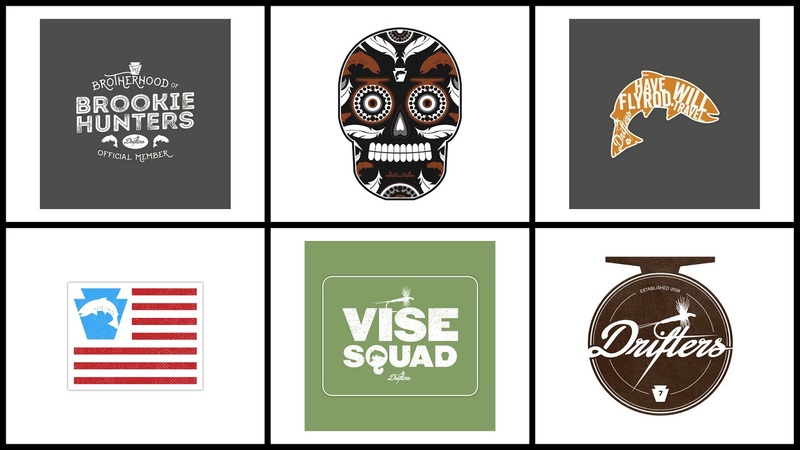 In the meantime, check out Nick's work on Instagram, Stickermule Marketplace, or his professional website, which includes a much less wordy description of the process outlined above. I really like the new logo design. The cover pictures are also great. Thanks Christophe, appreciate the feedback! 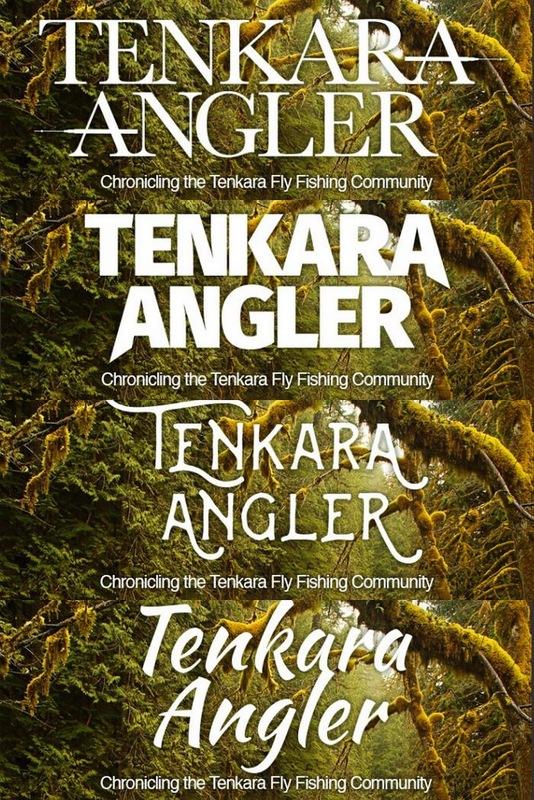 "In the next issue of Tenkara Angler magazine, I'll spotlight Nick and his work through an interview I think you'll all enjoy. Sure, interviews with "Tenkara Masters" are plenty insightful, but as far as I'm concerned, it's more fun to talk to your peers, who like you are still finding their way with the long rod, about why they fish tenkara." Thanks for the kind words. It's only as good as the contributors, and the next issue is going to be good. Had another suggestion, but you're already there. Nice work. I like the font. Looks like the Kayak Magazine font. Thanks Kevin. Did you catch the hidden tenkara rod between the N & K? Might be my favorite part. Thanks for the kind words. Hadn't stumbled across your site yet in my internet travels, really nice! I agree with the other comments, the yellow is an excellent choice that will go with most any photo and color scheme, the font is cool, and additionally the bold font is perfect and easy to read! Thanks Tami, and thanks for swinging by! Really like the logo design. It's bold, and Yellow is a good choice. Thanks Ben, appreciate the feedback. It will/can change colors, I'm not locked into yellow, but the yellow version is definitely bold. Just checked out Nick's website, and he does some really awesome work! Very cool! Yeah, that wasn't my intention at all, maybe because this version is yellow. You're not the first one to comment that. Nick does really good stuff, no doubt! What do you mean by American Hipster? To me, this logo already looks dated and not something progressive. Maybe your readers are older than I, but this doesn't appeal to me on account of the old look. Fair enough Lance, everyone has their opinion, it's all good. By hipster I was making reference to the fact that tenkara is being portrayed as something overly trendy. Something in vogue only because it's different. It's just another way to fish in my opinion.